Back in the days when cartridges used batteries to store save data, your precious save files would only remain in existence as long as the battery itself had juice - when the power ran out, the data was lost forever. Collectors of retro games will know this fact all too well; many RPGs from the '80s and '90s are now practically unplayable as it's impossible to save your game (unless you're willing to crack open the cart and replace the battery, of course). 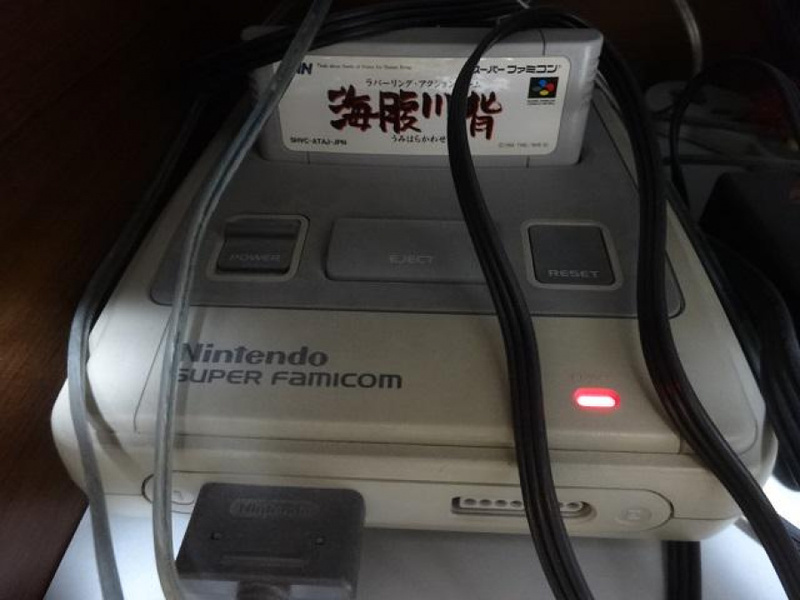 For one Super Famicom fanatic, the thought of losing his save file for Umihara Kawase was simply too terrifying to comprehend, so he decided to keep his console switched on for 20 years in order to preserve it. "Incidentally, I'm pretty sure my first generation Umihara Kawase, which has been on in the SNES for over 20 years, has been in operation for over 180,000 hours. If the power is turned off, I'll lose all my replay data. Probably." The game - which has recently received a sequel on the 3DS - launched in Japan in 1994. Twitter user Wanikun's console has been turned on constantly almost since launch, with one exception - it had to be unplugged for a house move, but amazingly the battery still had enough juice to keep the save file intact. So while it technically wasn't a full 20 years, we're going to let it slide. 3 months late, Nintendo Life. Wasn't this reported on already? Well, other than by IGN of course. Wouldnt it be far more efficiant to just get a device to rip your save file, store it somewhere save, replace the battery when dead and reinject it ? Never heard of this story. They don't make them like they used to, that's for sure. NintendoLife has officially become Kotaku. Please excuse me while I throw up. Good article Damien, better late than never. We still love you. Amazing! I used to be pretty proud of having left a PSOne on all weekend when I rented it from Blockbuster without a memory card - doesn't seem so impressive now! "Collectors of retro games will know this fact all too well; many RPGs from the '80s and '90s are now practically unplayable as it's impossible to save your game (unless you're willing to crack open the cart and replace the battery, of course)." Just buy a triwing tool for a few bucks and a watch battery, usually 2025 or something of the sort. 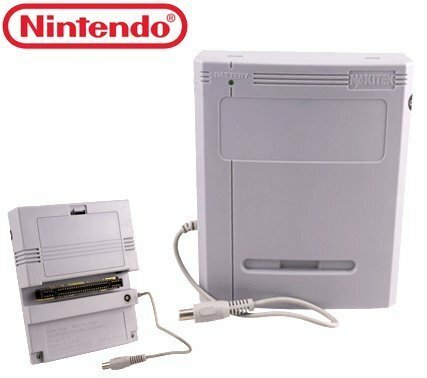 I don't even think SNES games had them soldered in, but even so you can just tape it down, as long as it's making a solid contact it's fine. It's a simple thing to do, and any collector of old games will have to do that at some point if they actually want to play them. That is crazy. The worst part of this solution is not being able to play any other games in your collection because this game is stuck in the system. In all that time, he could have gotten a degree in electrical or computer engineering, jury rigged a way of unloading the data, and kept it saved on flash storage like a sane person. @inverse Nah man, Nintendo Life isn't nearly as bad as Kotaku. whats the problem with this? who cares if nl was a little late on reporting this. i didnt know of this so it served its purpose. i swear todays gamers are a bunch of sissys. @World I guess, but I mean being able to open the cartridges is a pretty basic skill of any long time user. Even for those without batteries, you still need to be able to do this in order to easily clean the contacts which can get dirty over the years. It's also useful for verifying if you've got a legit board and not a repro. @inverse Nah, it's just @Damo and he's always been like this...at least for as long as I've been here. I'm always a skeptic. There haven't been any power outages in the past 20 years at either house? I wonder if they play the game ever or just leave it powered on without using it. @JohnBlackstar maybe he uses a backup battery? @JohnBlackstar That was the first thing I thought of too. And I don't think consumer UPS were readily available 20 years ago, so it's surprising there were no power interruptions at all during that time. This is months old. And it's already been debunked. Another zombie article? Or another deja vu? I'm getting a bit confused, honestly. EDIT: WAIT, I could've sworn this was already reported on here....or am I thinking of Gematsu? You forgot to add the "we're republishing old articles of 2015" on top of the article. Whenever I hear one of these Japanese save data stories I'm in awe that their power grid survives tsunamis and earthquakes yet my power flickers if the wind blows too hard. This article is like super old. This is the internet too. Stuff like this ages in dog years. @MadAussieBloke welcome back! You buy a game physical and have to avoid the flak from here for a bit or something!? I find it highly unlikely that they went without a power outage for 20 years. Unless the Japanese power grid is just that awesome compared to what we have in the US, where power outages occur whenever someone so much as farts on a pole across town. Completely unnecessary and ridiculous. There are easier fixes to this problem. Wait....what? My old games will not save eventually? How long till my N64 save files vanish? Goldeneye!!!!!!! It doesn't even make sense at all to even believe it. I mean, 20 years without power outage? You don't need a collage degree to call it BS. @blackice85 For sure! It's also useful if you're going to buy a (usually reduced price) copy of a game with the battery ALREADY dead. But yeah, I'm not one of those paranoid collectors. I'm more of the "electronic things need the battery changed" type. @blackice85 Thanks for that information. A lot of my SNES games have had their save files randomly disappear before (only one at a time though), so I may want to replace some of their batteries. @Zelda_Rocks No problem. I made a minor error actually, the triwing screwdriver is for some of the newer hardware (like Wii and I think Gamecube/DS). What you'll want is a 'gamebit' driver, of which there are two sizes. For SNES I think you need 4.5mm, but it's good to have the 3.8mm as well for Gameboy cartridges. There is literally no way this story is truly, One there will be a power surge at some point or 2 something would go out. But ya this is also an older story lol. @spurgeonryan I think by the N64 days they were regularly using EEPROM/Flash memory instead of batteries, so you can only save so many (tens? hundreds? of thousands) times before you can't save anymore. The batteries used in SNES catridges are not rechargeable. And I'm not too sure if the memory chip is powered by the console when the game is running. lol THIS JUST IN!! Umihara Kawase to be remastered as a 3DS exclusive in 2016 coming to North America as "New Super Dora The Explorer!" I know the PAIN. My Link to the Past cartridge worked perfectly when I first started. It was only after I beat (what I thought to be) the hardest boss, Moldorm, that it decided to poop out on me. Thankfully I've since sent it in to be replaced and finished the adventure, but God if that wasn't a kick in the darknuts. @NaturalGus You know what, "Super Dora" is probably STILL a better name than "Yumi." I'M sold! I remember when my Donkey Kong Country 2 cartridge had its battery drained, and I couldn't save. I was on the final boss battle, and I had to go with my parents somewhere, so I left my SNES ON in the entire trip. I came back to finally defeat the boss. The power never goes out where this guy lives? Some luck that. The guy probably never heard of a game saver before otherwise his poor Super Famicom wouldn't had to suffer such a long active pain. Also save battery are cheap and easy to replace, must had been too lazy to even do that too. Would someone who knows of this story's truth please post a link of its debunking? This didn't happen. No doubt there was a power outage or a short circuit to cut the power on his Super Famicom. He is lying to gain attention. I've seen this reported late once already, but this is somehow even later! @Tank207: Your icon is awesome, I wholeheartedly agree with your comment, & I read it in Zero's Mega Man Maverick Hunter X/X8 voice.